A frog that eats something distressing or poisonous may vomit the object in the same way humans do. However, some species do not have this protective reflex and there is a much more drastic option they pursue. The frog will actually throw up its entire stomach. The total stomach vomiting mechanism in frogs has the same result as emptying a bag by pushing its bottom up through the top. The stomach literally turns inside out, and dangles from the frog’s mouth. 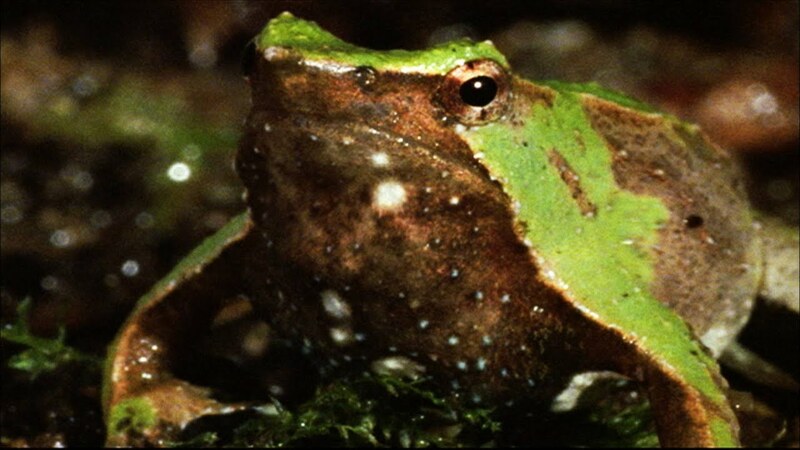 Once in the inside-out position, the unwanted contents of the frog’s stomach are likely to drop away. To be sure this has occurred, the frog has a secondary reflex associated with stomach vomiting. This reflex causes it to reach up with its forearms and stroke the inverted lining of its stomach several times, thus cleaning it off manually. This ensures that all remnants of the toxic meal are gone.